Yeah they are getting there I was thinking the boldness had been exaggerated but while I was cutting back plants a couple really couldn’t be bothered to move. I tell you what thy don’t like. Springtails. there are more in that viv than in some of my cultures. 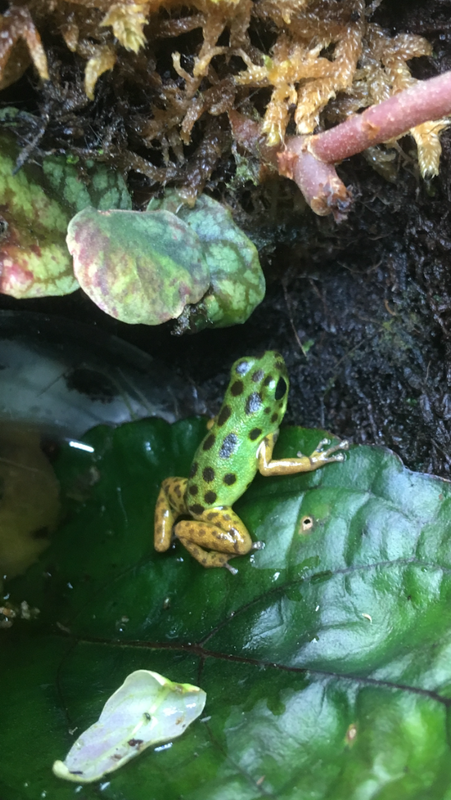 So once again against froggy rules I’ve added a few thumbs to clean up the clean up crew they are half grown (southern variabilis) the bi color are half grown neither of them could give s damn about the other. They will occupy walls branches broms the bi color oblivious to them on the floor. I added two yesterday (one still to morph/grow on) one hopped straight past biggest bi c he never moved then they’ve settled up top. Same as my leucs santa and French Guyana and now triv viv.none of them care leucs. Pums on their own tincs on their own.